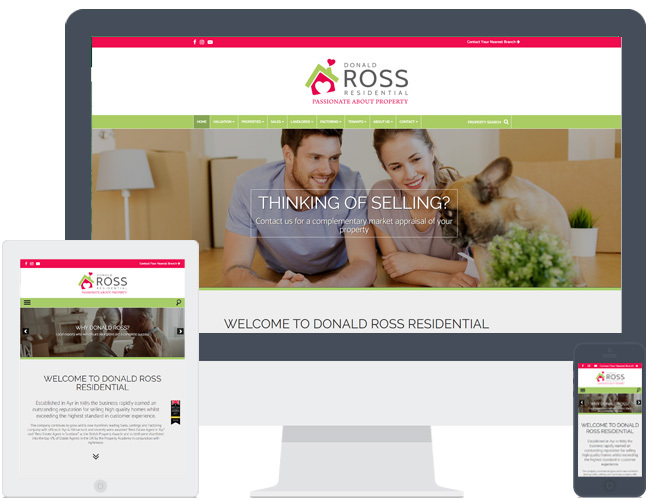 Donald Ross Residential upgraded from our R4 theme to our R8 theme. With their new site they were looking for a design that was clean and contemporary, which is what R8 offers. We also incorporated graphics that were provided by their design agency that have been used in their brochures and marketing.